My name is Kimberley Angell and I am 34yrs old. My running experience only started in January 2014 when I decided I had to do something to increase my confidence, to help with my depression and to lose my baby weight!!! All through my twenty’s I was always super fit and after gaining qualifications at Loughborough College and University in Sports Science and Personal Training I went onto work in a gym as a gym instructor. I worked my way up to Duty Manager then Front of House Manager at Livingwell Gym where I remained for several years…….then one night disaster struck, at the end of my shift I went to the plant room to dose the pool and spa as normal but little did I know there was a chlorine Gas leak, I knew as soon as I walked into the Plant room something was wrong and managed to press the fire alarm before passing out….the next thing I knew I was waking up in resuscitation with my best friend crying on a heap on the floor and my parents running round the corner in their pyjamas! That’s when I knew something serious had happened. I spent the next few days and weeks in hospital and recovering at home, I found out I had stopped breathing and had to be resuscitated, the body’s automatic response to chemicals is to send water to the lungs so it’s like dry drowning. I felt very lucky to have been saved and I recovered physically very well, I returned back to work after 6 weeks and tried to carry on, but my confidence had been lost, I was anxious all the time, having nightmares and panic attacks and felt like my bosses were most unsupportive, one day it all got too much and I grabbed my coat and just walked out of work into town and found a job for a temping admin assistant in an office. I stayed there hating my job for years, it was just my safety net though I could sit in a nice safe office and I just data imputed all day long so I did not have to face strangers/public either. I had lost all my self-worth, I felt like a frailer and a weak person. I had to undergo cognitive therapy and I was eventually put on anti-depressants. Then came a day where I downloaded couch to 5k and went from there....2 years later I am now 3 stone lighter and run an average of 25miles a week, I well and truly have the running bug and am 100% motivated. I decided to challenge myself and in February 2014 I signed up for the Leicester Half and predicted I would run it in 02:30....well after a lot of training I crossed it in a time of 01:42 and I have never felt prouder. I have since gone onto Run a Marathon and take part in events like Equinox24 and Tough Mudder. I am now no longer on any medication, I have loads more confidence and feel proud of myself once again! I have met some amazing people through running in the last couple of years and have made some great new friends, especially through Team Anstey Amblers and Running Club, which I am now so proud to be vice-captain and coach. I take my children to marshal at the Parkruns on a regular basis and my family have been at all my races, my oldest daughter who is 7yrs old loves taking part in our local Junior Parkrun on Sundays, so who knows she may be following in my footsteps!!! I am now proud to be part of the Run England team, running really has changed my life as in September 2014 I had a total career change and got the job as 'Running Activator' for Leicestershire and Rutland. 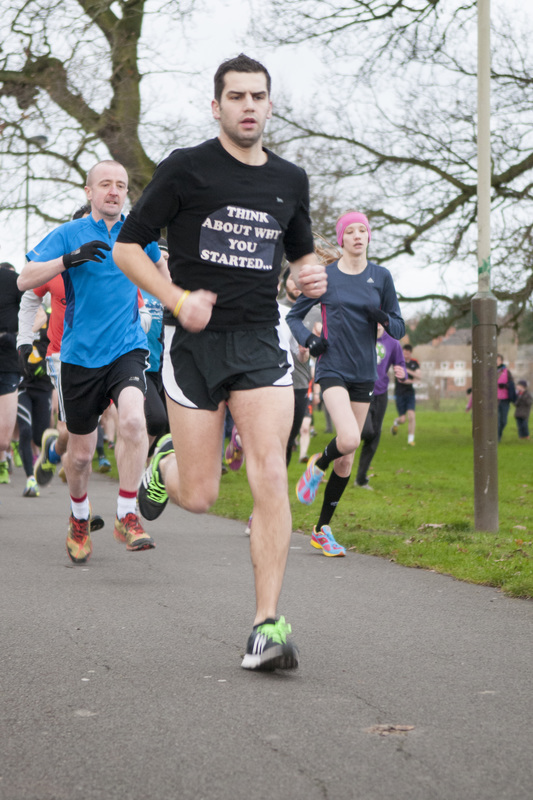 It is my aim to get as many beginners running as possible and to help them continue for the life! 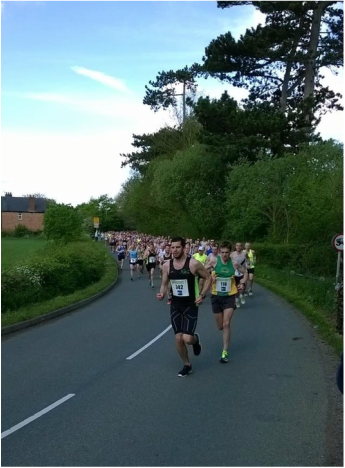 My role involves helping to get Run Leaders qualified and then helping them to promote and set up their beginner running groups, also to work closely with affiliated Running Clubs to set up pathways for beginners to continue. I know how much running has improved my confidence, health and happiness and it is now great I have the opportunity to encourage people to take up running and get to see their journeys along the way!! As for top tips…..Never stop believing in yourself! Why I started…………….. I had always been a good youth runner, but through my teenage years opted to play football instead. Though not the speediest I was known for having a strong endurance and stamina. I joined the armed forces in 2002, passing out as fittest recruit, before joining the parachute regiment. I chose the parachute regiment as they are known for their fitness amongst other things. I served in two tours and it certainly taught me about the importance of life, and the fragility of it. On leaving the army in the spring of 2006, I became quite lazy. I also had knee pain whenever I ran. On looking back now, the weight I had put on post armed forces clearly didn’t help. 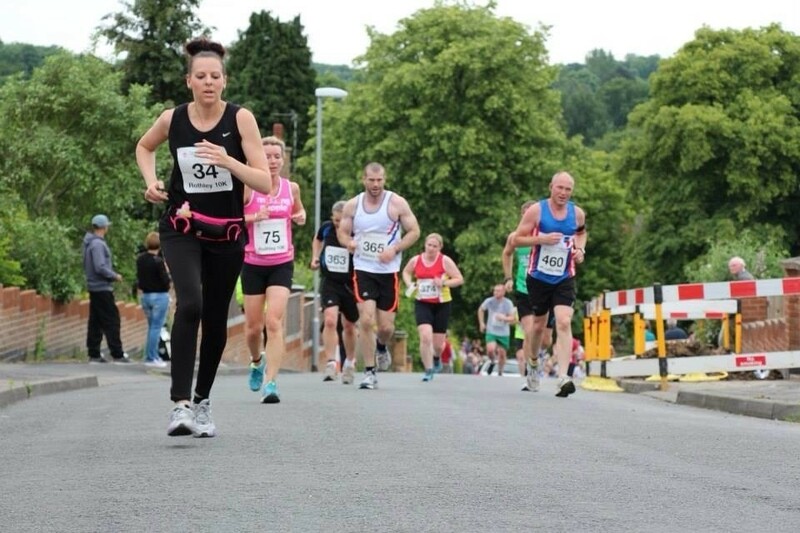 I’d lost interest in running, and suffered from a stomach condition which made running difficult. 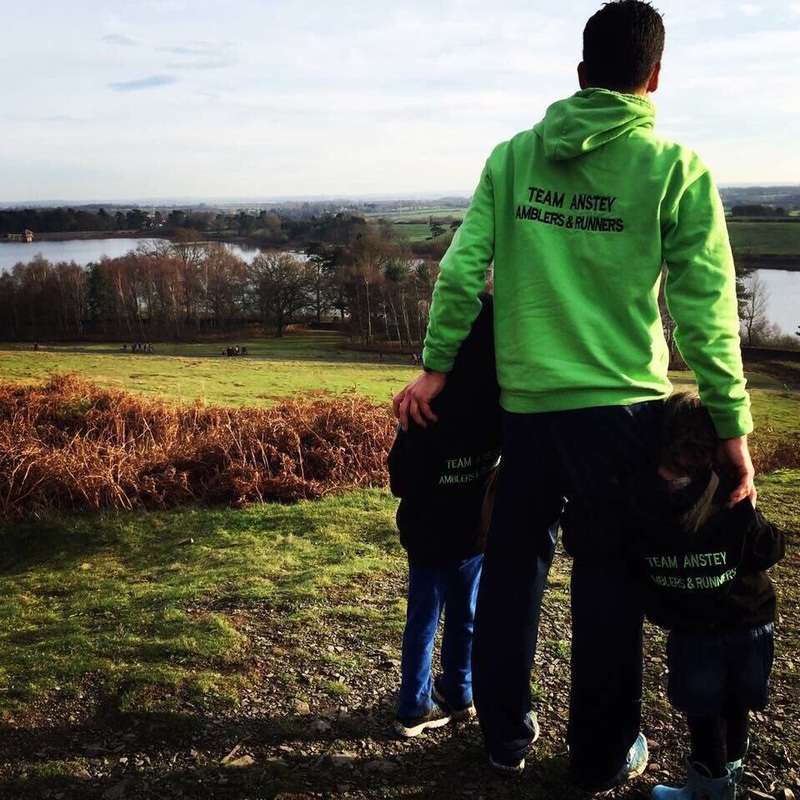 Having a young son who was often very poorly I felt I had little time or energy for running. Your journey………………… After a 5 year hiatus from running, I lost my 53 year old father in law to Cancer in December 2010. I felt devastated and it made me revaluate my health and wellbeing. I didn’t want my own children and future grandchildren to go through losing their father/grandfather too soon. After nearly 2 years my son was getting better and finally sleeping more than 2 hours at a time! I’d heard that old friends of mine were running for Wreake, and running well, which helped to motivate and inspire me to get fit again. So In May 2011 I took the leap by joining a local running club and start regularly running again and my fitness and speed began to pick up. My health has thrown me a few speed bumps including a knee injury that one specialist recommended I stop running for good. Thankfully I got a second opinion whose view was; it will hurt, you are stuck with it, but it probably won’t get worst so you just have to get used to it. IBS certainly makes some runs a real dash… but despite the challenges my positive approach has got me through. Proudest moment/biggest achievement…………In running setting up TEAM Anstey and winning club awards. Seeing all our runners’ progressions (means we are getting it right). Smashing club targets. Seeing members that enjoy the TEAM Anstey experience. Team Anstey’s 1st presentation night and being able to acknowledge so many amazing peoples hard work. o Listen to your mind and body. o Don’t run flat out every time, sooner or later it will catch up with (either fatigue or injury). o Apply strength and conditioning work into your weekly plans. o When you see improvements it’s tempting to run, run, run but don’t do too much too soon. o Push yourself yes, but if you are struggling with fatigue over a prolonged period, listen to your body and have a rest. o Have regular, planned rest days/weeks. o Listen to your coaches, they give advice based on the knowledge they have gained which we give to you because we care J.
o Set realistic, achievable running goals. o Most important of all whether you’re on a running plan or not, running should be fun.